There’s gonna be loads of talks and stalls including our friends Pumpkin Records, 0161 Festival, Manchester Animal Action, Teatime Collective (awesome pies! 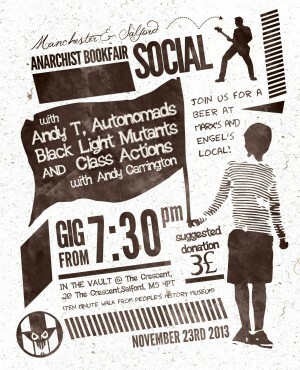 ), IWW, Hunt Sabs, One Way Ticket To Cubesville Fanzine and loads more. 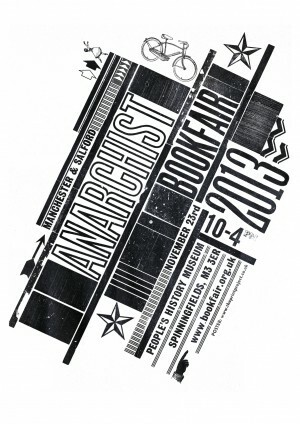 It’s always a massively fun day so pop by if you can. 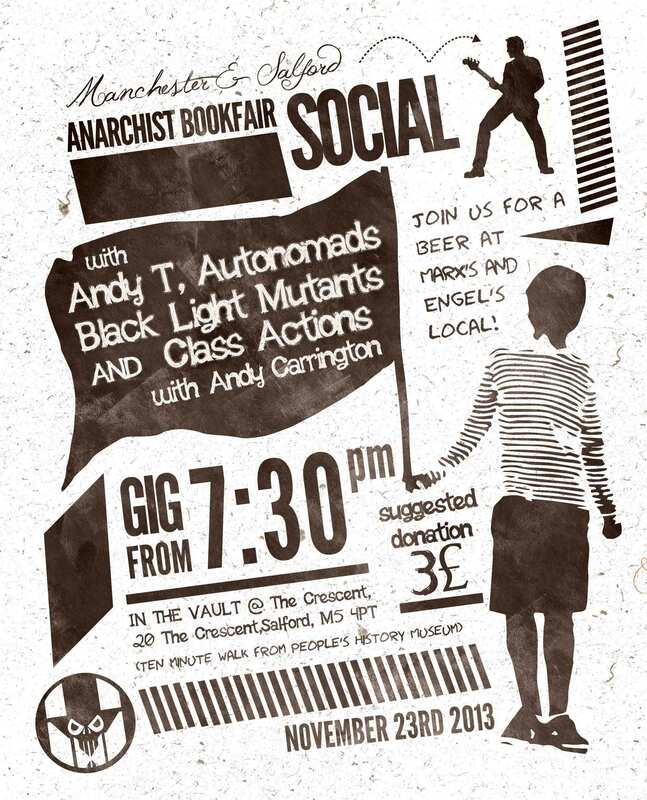 There’s also an afterparty at the Crescent pub (it’s ten minutes walk from the bookfair and apparently where Marx and Engel used to drink, although we have no proof of that) with Autonomads, Class Actions, Andy T and Black Light Mutants playing. We’ve also got some new stickers and badges done, they’ll be thrown in for free with orders or given out at distro stalls. If you want some posting out to you, drop us a line at prejudice_me.co.uk.